Elegant door canopies Parisian styled with four horizontal cross ribs emanating an exclusive style rarely found in your typical flat sloped door canopies. 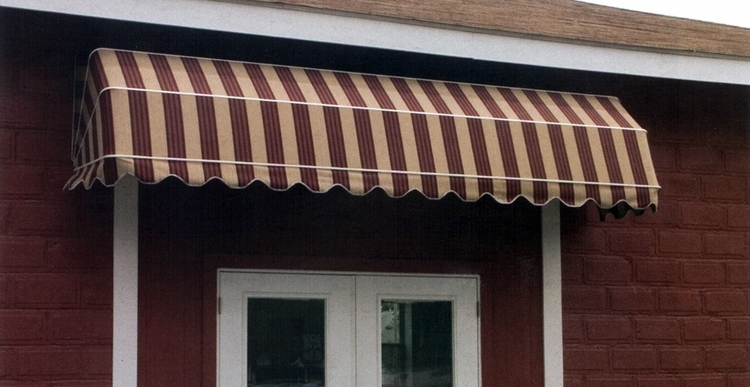 The door canopies utilize the top of the line Sunbrella awning canvas which is available in over one-hundred and fifty different colors and patterns. These beautiful Parisian style door canopies are provided in a variety of sizes from three feet wide all the way out to twenty feet wide. The door canopies can be tailored in either of five different projections starting at twenty four inches out to a maximum of forty eight inches making them perfect for both an entry door, patio door or French door porch cover. 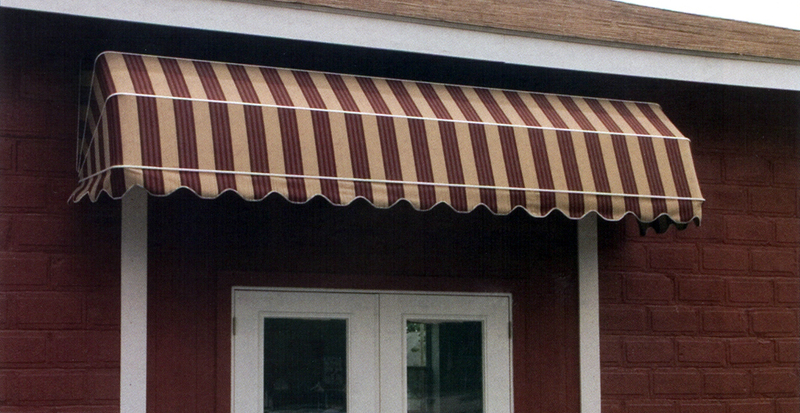 Please note that matching window awnings are also available in this Parisian style if planning to coordinate the overall look of the home's exterior. The Parisian door canopies come fully assembled and ready to mount. You also have an option to print letters up to two inches tall on the six inch valance and there is an optional pull up kit to retract the door canopy in the event of inclement weather.